It was gathered that Asekun, while on his way out of the Ajasa-Lamberu Street in the Grammar School area, was accosted by the hoodlums, who reportedly shot him to death in front of the First Atlantic School on Friday, February 8, 2019. Eyewitnesses, who spoke to our correspondent at the scene of the incident, said the hoodlums trailed Asekun to the area, adding that the news of his death had caused panic in the Jibowu and Fadeyi areas of the state. Another eyewitness, who simply identified herself as Titilayo, said one of Asekun’s killers walked out of the street without the fear of being arrested, while the others fled on their motorcycles. “Immediately after the man was murdered, the assailants mounted the motorcycles they brought and ran away. But what surprised me the most was that the man, who brought the boys, walked majestically out of our street and nobody could challenge him, because nobody was ready to die,” the trader stated. A resident of the area, who pleaded to remain anonymous, said the deceased was a member of the NURTW at Jibowu, Yaba. When contacted, a member of the NURTW in the branch, Shehu Kazeem, said one of the suspected killers used a hidden number to call and inform him that Asekun had been murdered. Kazeem said, “Immediately the incident happened, we realised police officers had been stationed in the Ereko area. At first, I didn’t know what was going on, until someone called me with a hidden number to inform me that we should go and carry Asekun’s corpse. In an interview, the Chairman of the NURTW in the branch, Femi Akinboyeku, lamented the death of the treasurer and charged the police to investigate the case and arrest the killers. He said, “I was at home when I received the news of the death of my treasurer. From what I gathered, it’s like some people used the number of someone he was familiar with to call him to meet them at the particular point where he was murdered. “The people I suspect to have carried out the attack are the ‘Ereko boys’ at Fadeyi. These ‘Ereko boys’ are not our union members; they are usually not happy with our activities as a union. “The people we spoke to in the area said those hoodlums, who murdered the man, had been in the area for a while and they didn’t inform us that they were seeing strange faces. If they had, we would have engaged the hoodlums before they carried out the crime. The people said they were four in number, who attacked the deceased; they shot him with a pistol. The state Police Public Relations Officer, CSP Chike Oti, who confirmed the incident to our correspondent, said two people had been arrested in connection with the crime, adding that the state Commissioner of Police, Zubairu Mu’azu, had transferred the case to the homicide section of the State Criminal Investigation and Intelligence Department, Panti, for further investigation. 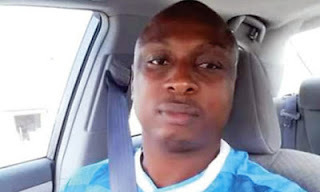 Oti said, “The deceased was a member of a motor union and was trailed to the Ikorodu area of Lagos by a fractional group of the union and killed him. “During the fracas that led to his death, the police in the Ikorodu Division received a distress call and mobilised swiftly to the scene and brought the situation under control. Two arrests have been made in connection with the incident.